For the record, helmets are one of the most important head gear for motorcycle riders. While the majority of bike riders know its importance, the fine distinctions and complexities separate helmets in terms of price, brands, models, classifications and features. Making it difficult for you to decide which helmet to choose. That is where BikeGearUp came in to help you choose the best motorcycle helmet. Ride-on with BikeGearUp! 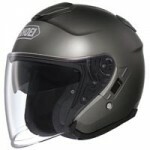 As you take your pick for the best motorcycle helmet, you must know its features and specifications. In consideration to suit your every riding style from adrenaline escalating to a simple road tripping. We provide a wide-range of choices, shopping guidelines and honest product reviews to help you decide which motorcycle helmet is best for you. 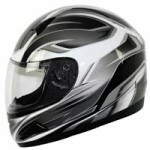 Wear the best motorcycle helmet that perfectly suits your personal style without compromising comfort and safety. 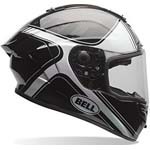 If you’re looking for the best deals in shopping your motorcycle helmets. Note some important points of the advantages and disadvantages of wearing helmets. Riding on your bike knowing that you can count on your helmet gives you a better edge for safety and convenience. Don’t just wear any helmet, wear the best one. 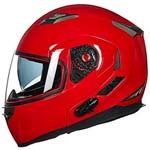 Listed are the key benefits of wearing the best motorcycle helmet. 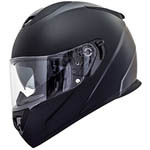 Safety Standard Certified – First and foremost the best motorcycle helmet must be approved and certified by any of the following DOT, Snell2010 or ECE22.02. Which means that your helmet passed the meticulous testing that ensures the main helmet functions such as protection against impact and penetration. Guaranteed High-Protection – Speaking of the “best” in the context of protection, high-quality helmets are made of exemplary materials. Wearing the best motorcycle helmet ensures protection from traumatic head injuries. They are made of strong, light-weight materials to resist impact in times of inevitable road accidents. 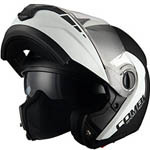 Compromised Comfort – Enclosing your head with a helmet can be somewhat uncomfortable. Your head won’t be getting fresh air. While helmet manufacturers design for air vents to counteract this discomfort. Some wearers claim that it turned out to produce loud sounds as the wind go through the helmet. Hygienic Issues –We sweat out, and the inner pads are mostly made of absorbent materials. Germs might be growing as the absorbed sweat in the inner pads dries up it will eventually result to a foul smelling garment. You need to clean your helmet regularly. Maintenance and Budget Concerns – You need to regularly check the outer coverings for cracks and make sure that the straps are intact. As it might snap out in times of impact. If you notice some cracks or any item problems, then most likely you need to buy a new one. That’s quite a damage on your budget. 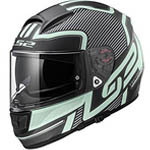 Below are the most popular motorcycle helmets for women and men. What is a Motorcycle Helmet? Motorcycle Helmet is head protective gear worn by motorcycle riders for safety, commonly used to protect the head during impact to prevent/reduce head injury. 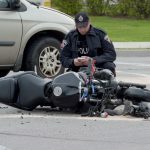 Motorcyclists or motorcycle riders are at high risk in traffic crashes. The injuries they can sustain can cause severe injuries or worse death. It was once hypothesized that by wearing helmet will increases the risk of attaining neck and spinal injuries but a recent study has proven the opposite, that helmets protect the motorcycle riders against cervical spine injury. 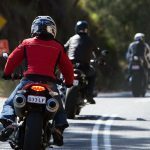 Why wear the Best Motorcycle Helmet? 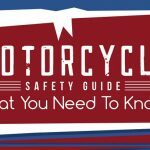 A good helmet is the most important piece of safety equipment for any motorcycle rider but, to put it simply, serious head injuries are the number one killer in motorcycle accidents. Sure, you can break a leg or an arm and survive, and even major damage to your body can be fixed up. But damage your brain, even slightly, and that can be the end of you. But a well-chosen, high-quality helmet can protect you from injury in many crashes. Helmets are generally made from a tough outer shell, usually of fiberglass, carbon fiber or Kevlar weave, with a softer liner. The main purpose in wearing a motorcycle helmet is to increase safety while riding and it is very important because we can’t decide and we don’t know when an accident will happen. It is better that we ride safely to make sure that our life is safe. One study shows that wearing a helmet can reduce the risk of head injury by 69% and can reduce the risk of death by 29%. 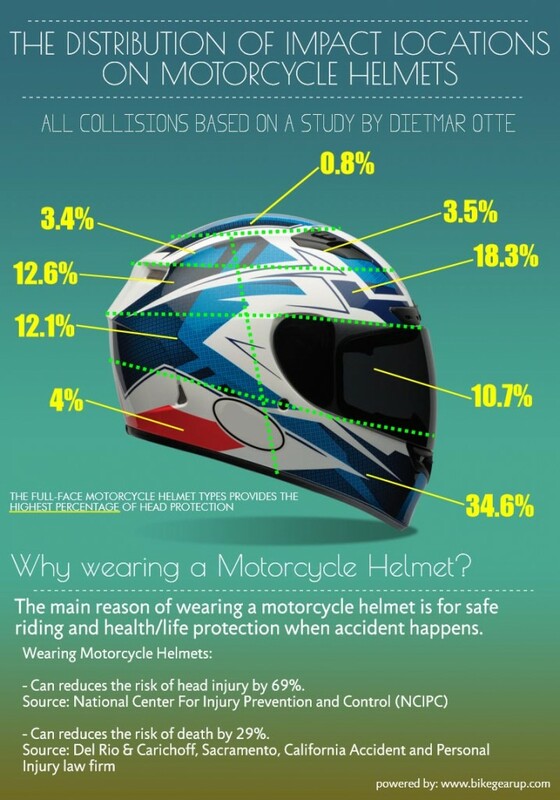 This is my infographic that will give you an idea about the importance of wearing a motorcycle helmet. What are the types of helmets? A Full Face helmet can be explained by the name itself – it covers your entire head for protection and it provides you the most protection compare to the other types. 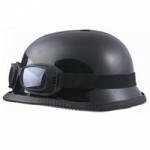 It is known also for its features such as a face shield, to increase the airflow and a whole protection of the chin. Some riders dislike wearing it because it increases heat when wearing it for an extended period of time, as well as reduces airflow and ability to hear. 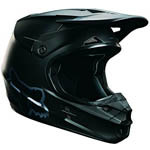 This helmet is commonly used in off-road and motocross competitions. 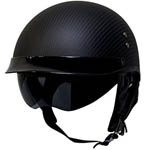 It has features such as elongated chin, visor portions for protection from flying debris – this also keep the sun out of the eyes during jumps, a chin bar, and a partially open-face to allow the rider to wear goggles and to allow air to flow. This is the next safest helmet of the choice. A combination and hybrid of full face helmet and open space helmet. It is commonly used on the streets, also called “convertible” or “flip-face.” It has the features of full face when fully closed and assembled. The good thing about this helmet is that it can be opened and much like the open space helmet. It is the best choice when you wear glasses and want to chat with friends while riding. This helmet is commonly used on the streets, the rider covers the ears, cheeks, and back of the head, but lacks the lower chin bar. It covers 3 of 4 parts or 75% of your head. 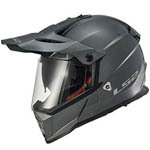 It provides the same rear protection as a full face helmet, but little protection to the face. 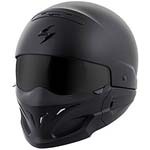 If you’re looking for this type of helmet, I suggest that you choose to include a face shield, which will protect you from dust, wind, and insects. This model is popular with rockers and road racers – also known as “Shorty” in USA and “Pudding Basin” in UK. It the same front designs of open face helmet but without a lowered rear. It provides minimum protection – let’s say “not guaranteed for safety” and some of Safety Foundation prohibit the use of these helmets. This also known as “beanies,” “brain buckets,” or “novelty helmets.” These are commonly used to provide the illusion of meeting mandatory helmet laws. These helmets are not certified to be motorcycle helmets and if we are talking of safety, well this would be on the bottom of the list because this will not save your life. How you choose your helmet? 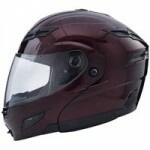 There are things that you should consider when in picking the best motorcycle helmet for yourself. In choosing one, make sure it is approved and certified as safe by the two organizations the Department of Transportation (DOT) or Snell Memorial Foundation (SNELL). 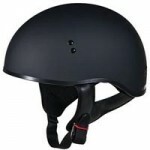 They make assurance that the helmet is safe to be used by riders. A rider is in good hands when the helmet is safe. Size matters; make sure that the helmet you choose fits you. You can say if it fits when you can easy pull it on and you can’t pull it off when it locks on. Fitting a helmet is easy but will you be comfortable with it on? Well, I can say that comfort is an important choice. For me, the best choice is that the helmet will not annoy you when you ride, it is soft on the inside, and you can move your neck freely. The budget – helmet prices have a huge gap starting at $40 to $1,000+ and it depends on the brand and the design. Make sure that you select from the best of your choices and that it is safe for you. Also, know that you will get what you have paid for. The look and feel will attract the eyes. There are a lot of designs to choose from when it comes of color, the style, the size, the weight, and the fashion. Designs will also affect and connect with your personality. There are lots of brands out there, but I can recommend the best helmet brands that provide the highest quality and have the best reputation. These brands are AVG, Arai, Bell, HJC, KBC, Lev-3, Monster, Nolan, Shark, Shoei, and Spyder. Helmet maintenance is important to ensure that your lid remains in top condition so that your head is kept safe. Here are some steps for great helmet care. Never balance your helmet on the mirror of your bike; there’s one place it will always end up – on the floor. So put it there. Also hanging it on a mirror can damage the lining and could render your helmet as good as useless. Clean your helmet properly at least once a year, don’t rush the job, and take your time. Most helmets these days have a removable lining, so you can take this out and wash it properly, remove the dirt. Starting with the inside of a helmet, you’re going to be faced with two options – removable liner and non-removable liner. The first is by far the easier to work with. Pull out all pieces of the liner, including the cheek pads. You can now wash the liners by hand in the kitchen sink using a mild cleaner. Once you have washed them, give them a good rinse, and hang them out to dry naturally. Once dry, use a clean cloth to gently wipe your helmet to make it shine. Motorcycle Helmets are a very important piece of gear for motorcyclists to wear.You should always select the best motorcycle helmet based on safety ratings, so you can travel confidently in the knowledge that you will avoid any injuries were an accident to happen. There are so many types, brands, and designs to choose when buying a helmet, but choose the best motorcycle helmet that is right for you. Buying a helmet is not is a waste of your time, money, and budget – the most important here is to keep you safe while you ride your motorcycle and have fun with it. This site’s information will thoroughly guide you to choose what’s the best for you according to the style you like and what you need. free of cost and make your personal opinion! This made the Perfect gift for my husband! I am so happy with my purchase and cannot wait to buy another! Remember to pick one that will work for your budget, your tyle/personality, and most importantly, you safety. can you recommend for me which helmet suite for me because I has a Cafe moto classic. Cafe Moto Classic is a great bike. I can recommend to you the Bell Rouge, Neotec and Nolan N44. Half helmet and Modular suited your bike the best. I purchase a suzuky boulevard bobber style, what would your recommendation be for a good helmet. Thanks Carlos for your comment. Suzuky Boulevard Bobber motorcycle is suited for half helmet types such as Bell Rouge, LS2 OF569, Voss 888CF and LS2 SC3. There are many factors need to be consider before buying a helmet. This can be size, shape, price, dot or snell approved or not? My advice ensure all safety precaution before buying a live saving head gear. Do not compromise price over quality. I ride a suzuki savage because I dig the look, I could afford it and it comfy. 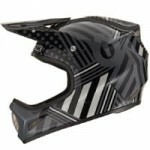 I also really like the look of the motocross style helmets, though I’ve never seen on on the streets. My question why. Is there something inherent about them that makes them bad street helmets? Or is it they just aren’t deemed cool for anything but off road or motocross? motocross helmet is not suitable for suzuki savage. I would recommend to use fullface, half-helmet or modular type. I also like motocross helmet styles and I tried to wear it on my kawasaki ninja and it’s looks horrible. Great article! Any suggest for sport-bike? You can live without your bike, but you cannot live without your brain! 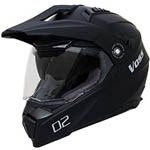 PROTECT YOUR NOGGIN WITH THE BEST HELMET YOU CAN AFFORD!